If you would like to see how a foam suppression system is being tested, click here. Engineered and manufactured fire suppression systems ensure a rapid, thorough, and economical response to fires and spills. High-expansion foam systems provide fire-fighting protection for diverse applications: aircraft hangars, basements, cable tunnels, flammable packaging areas, flammable liquid drum storage areas, hazardous waste facilities, LNG tank farms and loading facilities, mines, roll-paper warehouses, shipboard engine rooms, bilges, and holds, storage buildings, warehouses, and fire breaks. The light, voluminous foam blanket produced by our high-expansion foam systems can quickly obtain great heights, reaching elevated flammable materials (such as on storage racks). The foam blanket efficiently transports small amounts of water to the fire, encapsulating the flammable vapors and causing suppression and extinguishing. 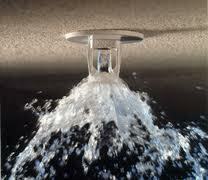 Foam suppression systems are one of the most effective ways to secure your building from any fire emergency. For more information about foam suppression systems, call CJ Suppression at 888-821-2334 or visit the website at www.cjsuppression.com. As we begin the new year, we tend to think of different ways to improve upon ourselves. Sometimes it isn’t just our health that should be considered. If you are looking to keep you and yours safe and healthy this year, think about the way you can protect yourselves against any home accidents, especially fire prevention. While there may be lots of ways you can be prepared for a fire, one way to keep yourselves safe is a foam fire suppression system. So, what is foam suppression? Engineered and manufactured, foam fire suppression systems ensure a rapid, thorough and economical response to fires and spills. A light, voluminous foam blanket produced by our high-expansion foam systems can quickly obtain great heights, reaching elevated flammable materials. This foam blanket efficiently transports small amounts of water to the fire, encapsulating the flammable vapors, causing suppression and extinguishment. Customized to application specifications, engineered systems include: bladder tanks and pump-type balanced-pressure proportioning systems, in-line balanced-pressure proportioning systems, high-expansion foam systems, large dry chemical systems and skids, twin-agent systems and skids, foam trailers, large dry chemical and twin-agent trailers, monitor trailers, aqueous film-forming foam (AFFF) pump systems, water-powered AFFF pump skids, foam/water monitors, nozzles, eductors, ratio-flow controllers, foam makers and chambers, specialized proportioning storage and monitor trailers. Useful for various purposes, high-expansion foam systems provide protection for the following applications: aircraft hangars, basements, cable tunnels, flammable packaging areas, flammable liquid drum storage areas, hazardous waste facilities, LNG tank farms and loading facilities, mines, roll-paper warehouses, shipboard engine rooms, bilges, and holds, storage buildings, warehouses, and fire breaks. Engineered and manufactured foam fire suppression systems ensure a rapid, thorough and economical response to fires and spills. A light, voluminous foam blanket produced by our high-expansion foam systems can quickly obtain great heights, reaching elevated flammable materials. This foam blanket efficiently transports small amounts of water to the fire, encapsulating the flammable vapors, causing suppression and extinguishment. Depending on the type of foam system, this is done in a few different ways: foam covers the fuel surface and smothers the fire, the fuel source is cooled by the foam’s water content, or the foam blanket suppresses the release of flammable vapors mixing with the air. CJ Suppression offers closed and open-head deluge AFFF systems, with both low and high expansion foam for industrial applications, chemical storage and large craft storage enclosures. 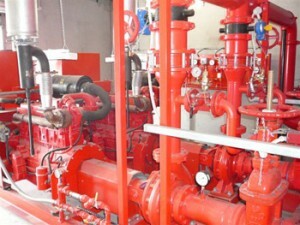 If you would like to learn more about fire suppression systems, contact CJ Suppression Inc. at 888-821-2334 or visit www.cjsuppression.com for additional information. What are foam systems fire suppression systems? Fire fighting foam systems suppress fire by separating the fuel from the air. There are different types of foam systems. Foam covers the fuel surface and smothers the fire. The fuel source is cooled by the foam’s water content. Engineered and manufactured fire suppression systems ensure a rapid, thorough, and economical response to fires and spills. Customized to application specifications, our dependable engineered systems include bladder tanks and pump-type balanced-pressure proportioning systems; in-line balanced-pressure proportioning systems; high-expansion foam systems; large dry chemical systems and skids; twin-agent systems and skids; foam trailers; large dry chemical and twin-agent trailers; monitor trailers; aqueous film-forming foam (AFFF) pump systems; water-powered AFFF pump skids; foam/water monitors; nozzles; eductors; ratio-flow controllers; foam makers; foam chambers, and specialized proportioning storage and monitor trailers. 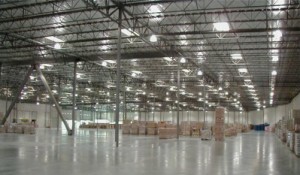 Listed high-expansion foam systems provide fire-fighting protection for diverse applications: aircraft hangars; basements; cable tunnels; flammable packaging areas; flammable liquid drum storage areas; hazardous waste facilities; LNG tank farms and loading facilities; mines; roll-paper warehouses; shipboard engine rooms, bilges, and holds; storage buildings; warehouses; and fire breaks. The light, voluminous foam blanket produced by our high-expansion foam systems can quickly obtain great heights, reaching elevated flammable materials (such as on storage racks). The foam blanket efficiently transports small amounts of water to the fire, encapsulating the flammable vapors and causing suppression and extinguishment. CJ Suppression offers closed and open-head deluge AFFF systems, with both low and high expansion foam for industrial applications, chemical storage and large craft storage enclosures. For more information about how we can help you with a foam suppression system, call CJ Suppression in Corona, CA at 888-821-2334 or visit www.cjsuppression.com.